Why we not realize Santo Domingo Basic? Santo Domingo VIP begins with the collection in their hotels with exclusive transport for our customers only. In it you can see the largest piece of amber from the Dominican Republic, an exhibition of amber fossils, temporary exhibitions related to the topic and artisans working the stone. Then we go into the historic Colonial City, where our official guide will teach and inform us of the history of this place. This is one of the most tourist areas of the country, its name dates from 1498, year in which the Spanish Crown granted the royal charter and was recognized as the first colonial city that received such merit. The Colonial Zone is one of those places you can not miss, its streets seem to remain in the past, you will find walking the buildings and houses of the colonial era. Here you can buy Dominican art, listening to music outdoors or live a romantic moment impossible to forget. In 1990 this area was declared a World Heritage Site, is today one of the most important tourist attractions of Santo Domingo and the most visited. After these visits we will enjoy lunch in a restaurant colonial area. In it is said that the remains of Admiral Christopher Columbus famous harbor, taking advantage of the culmination of the celebrations of the V Centenary of the Discovery of America. The same day his remains were moved from the Cathedral of America, where they lay from 1544 to the Columbus Lighthouse, where rest in the Mausoleum of the Columbus Lighthouse. After appreciating the beauty of the colonial area we will enjoy a unique, natural park Tres Ojos with underground caves. this magnificent natural process took place thousands of years ago. 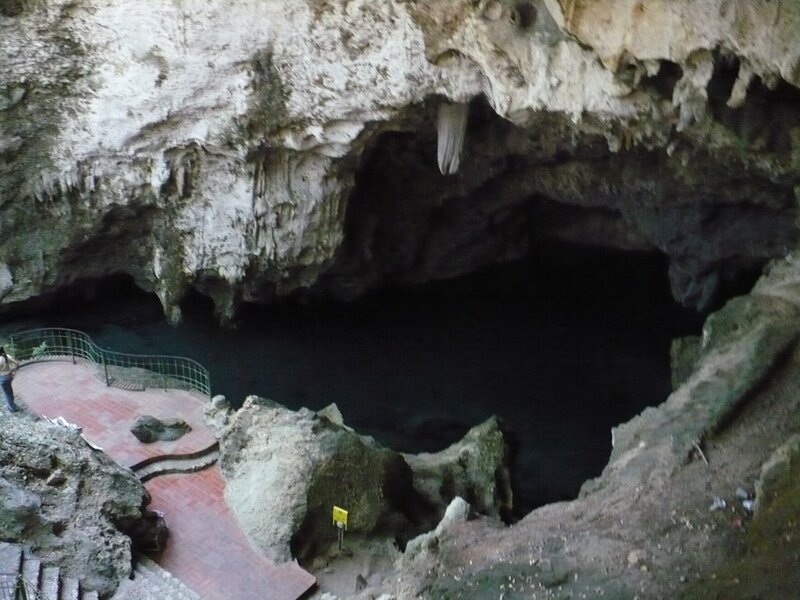 The natives of the island of Hispaniola (Dominican Republic) have left historical evidence showing that the caves used for various purposes including highlights its magico activities. After the visit, we returned to our respective hotels in Punta Cana. Children 0 to 3 years free. Children from 12 are adult rate.